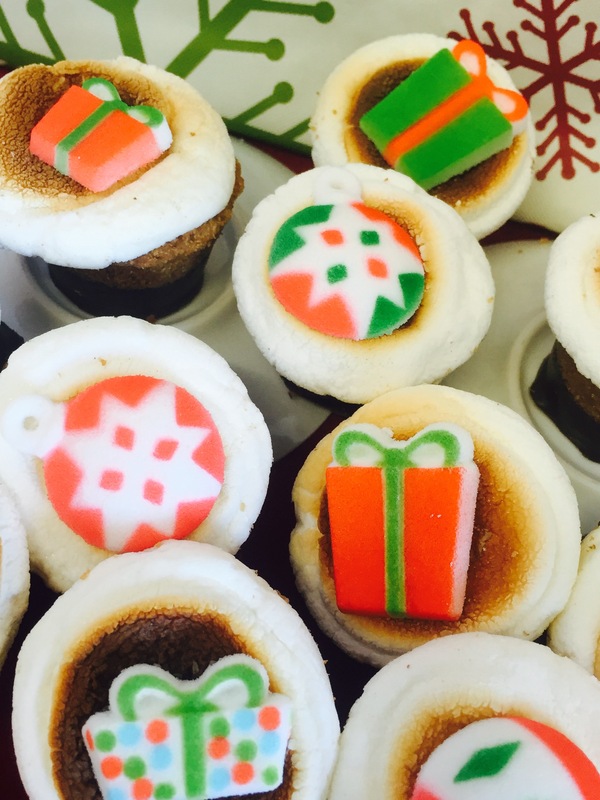 Our holiday Gotta Have S’mores come in Peppermint Bark and Eggnog Flavors! With shoppers needing to go to a happy place amid the hustle and bustle of holiday shopping season, Los Angeles gourmet dessert purveyor Gotta Have S’more brings the joy of long ago summers, with a clever and delicious update to the childhood campfire classic S’mores, at the Artisanal LA Holiday Market in Old Pasadena on December 5. Gotta Have S’more will be selling S’mores in 6 and 12 S’more packages and giving away free samples of their chocolate, peanut butter cup and holiday S’mores at the event. The classic S’more and a sense of childhood adventure were the inspiration for this delicious treat. Gotta Have S’more takes the enduring dessert classic from the campground to the snack table by combining rich chocolate, graham crackers and marshmallows into a 2-4 bite cupcake shaped dessert. Eaten right from the package of 6 or 12, one Gotta Have S’more makes a delicious quick 200 calorie snack. For a sophisticated handcrafted dessert, sure to impress dinner party guests, just pop a Gotta Have S’more in the microwave for 10 – 30 seconds (depends on the microwave’s strength) and it becomes a wonderfully complex masterpiece. It can be beautifully plated to show off the melty chocolate shell containing crushed graham crackers, more chocolate, or chocolate and peanut butter or holiday specialty flavors, topped with a now gloriously melty marshmallow top, accented with a piece of the inside’s flavor – chocolate, peanut butter cup, candy cane, etc. Gotta Have S’more is a reminder to embrace a spirit of play at even the most sophisticated gatherings. Having made over 5 million of these sassy, little treats, it’s proven that when put on the table, conversations start happening. There is no other dessert like it. For family gatherings, office events, and holiday parties of all kinds, these sophisticated sweet treats will steal the show. A free, public, family friendly all-ages event, Artisanal LA’s Holiday Market brings together 150 food, craft and gift makers from the LA area and beyond to Old Pasadena where they shut three streets filled with 150 independent shops, restaurants and cafés for one incredible all-day European inspired local shopping experience unlike anything in Southern California. It’s the perfect event for getting into the spirit, finding the wonderful gifts, snapping a photo with Santa, grabbing a cup of hot cider and enjoying holiday carolers too.